INDIANAPOLIS – The Northern Lakes Conference will be represented at the Girls’ Tennis State Finals for individual players this coming weekend. The Concord No. 1 doubles team of Keegan Thursby and Meaghan Godzisz is slated for quarterfinal action Friday. The tandem will face the Columbus East top doubles team of junior Megna Chari and sophomore Kathryn Hodzen at Park Tudor High School at 2 p.m. Junior Thursby and sophomore Godzisz helped lead their Concord team to the overall NLC championship this Spring. Coach Jan Soward’s team went 6-1 in league play and then won the NLC Tournament title. Concord then won both sectional and regional championships, beating fellow NLC member NorthWood 5-0 in the finale of the Northridge Regional. 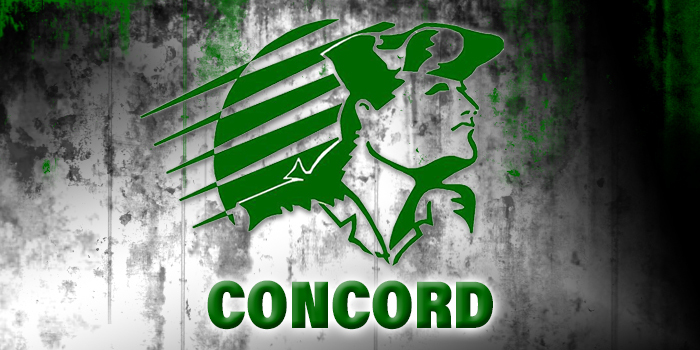 Concord, which won NLC, sectional and regional titles for the first time in a season since 1992, finished its season at 13-4 after a 3-2 loss to No. 12 Delta in the Homestead Semistate. Thursby and Godzisz are 19-4 overall on the season, including 5-0 in postseason matches. The duo of Chari and Hodzen are 12-0 and 4-0. The other quarterfinal matches Friday at 2 p.m. include senior Anna Campbell and sophomore Lauren Campbell of Zionsville facing the Penn team of junior Ali Kumfer and senior Alexis Snelson. The Penn duo is 25-2 this season. The Columbus North team of senior Madelyn Sanders and sophomore Eva Chevalier will play the Lafayette Central Catholic duo of seniors Lizzie Cramer and Sami Royer in the third quarterfinal matchup. The winner of the Zionsville-Penn match will face the Indianapolis Cathedral team of junior Claire Koscielski and sophomore Meg Coleman in a semifinal match at 10 a.m. Saturday. The winner of the Concord-Columbus East match will play the winner of the Columbus North-Lafayette Central Catholic match in the other semifinal. The state championship is slated for Saturday at 2 p.m. The state singles finals for No. 1 players will also be played Friday and Saturday at Park Tudor. South Bend St. Joseph’s star Maddie Yergler is the lone senior among the six players. Yergler, who is 23-2 on the season, will play in a semifinal match at 10 a.m. Saturday. She will face the winner of the Friday quarterfinal pitting Park Tudor freshman Caroline Kittle versus Michigan City Marquette Catholic freshman Rose Pastoret. Providence junior Halli Trinkle will play in the semifinal Saturday. She will face the winner of Friday’s quarterfinal match between Muncie Burris sophomore Isabelle Behrman and Bloomington South sophomore Maya Mills. The state championship for singles is also at 2 p.m. Saturday. Admission to the event is $5 per person per day.